June 19, 2009. Added Stuart's Journal of his journey from Astoria to St Louis. July 16, 2008. 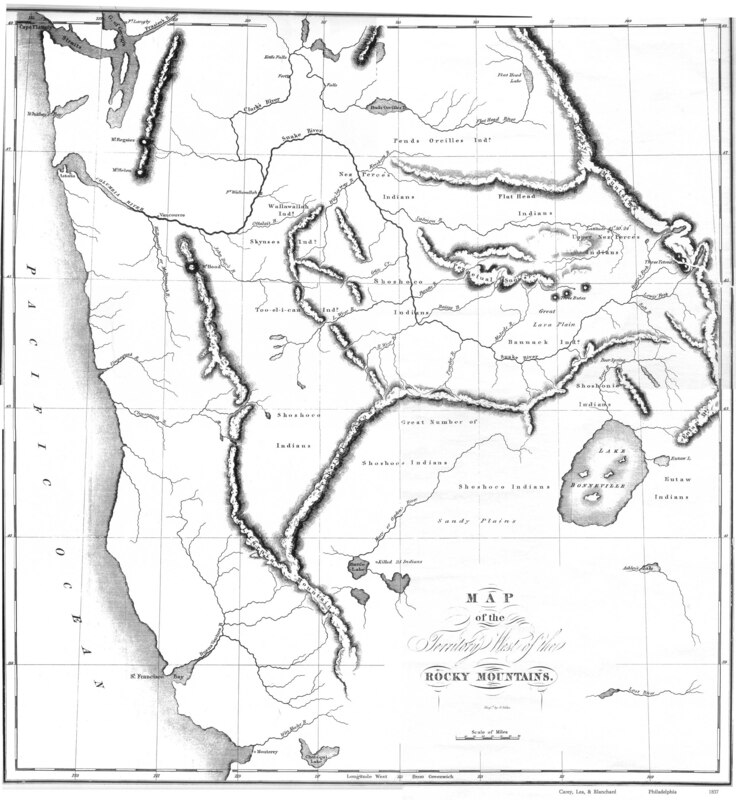 Updated Mike Moore's Names of People in the West during the Fur Trade. May 22, 2008. 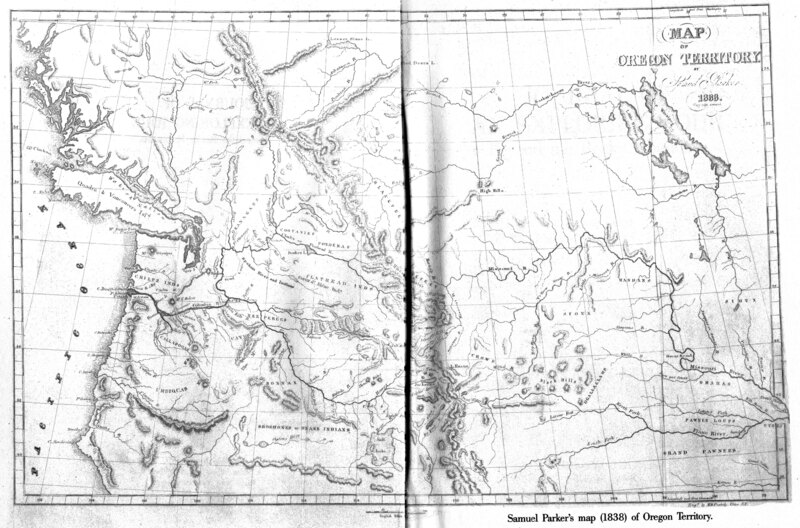 Added Samuel Parker's map of the Oregon Territory 1838. May 4 2007 Added Jed Smith's Journals. May 11 2004 Added Ross's Adventures on the Columbia River. Apr 27 2004 Added Franchère's Voyage to the Northwest Coast of America. Sept. 5 2003 Updated Museum page with AMM exhibits. Jun 3, 2002 Added Narcissa Whitman's Journal. Oct. 9, 1998 Added appendix on Hunt's Expedition from Bradbury. Sept. 30, 1998 Added Bradbury's Travels in the Interior of America. Feb 3, 1998 Added Workman letter and Becknell letters regarding early Santa Fe trade. Jan 27, 1998 Added Ramsey Crooks' letter regarding Who Discovered South Pass? Jan. 2, 1998 Added Irving's Astoria. Aug. 12, 1997 Added Outfit of a Trapper paper. Aug. 5, 1997 Added photo of Green River rendezvous site. July 7, 1997 Upgraded Kurz sketchbook to include thumbnails. June 8, 1997 Added additional Missouri Fur Company records. May 1, 1997 Added page of links to Karl Bodmer art. Apr. 8. 1997 Added Journal of John Work, Nov-Dec 1824. Jan. 25, 1997 Added illustrations from River of the West, and generally cleaned up things. Jan. 16, 1997 Added "The River of the West"
Oct. 21, 1996 Added portion of Jed Smith's diary to "Miscellaneous" page. Oct. 16, 1996 Improved .html for Ogden and Ross journals to include footnotes. Sept. 24, 1996 Added some links on the "Images" page to Miller and Catlin sites, and added the Kurz sketchbook. July 25, 1996 Added Ashley's Narrative to the collection of Ashley 1825 papers. May 15, 1996 Added Townsend's "Across the Rockies..."
Mar. 7, 1996 Added Museum of the Fur Trade Quarterly Table of Contents. Mar. 5, 1996 Added '28-29 Ogden Journal, completing the Ogden collection. Feb. 29, 1996 Added another Ogden journal, and the McKnight trade list. Feb. 22, 1996 Added Gallatin Map. Feb. 16, 1996 Added the rest of the Potts letters, moved them all under one intro page in archive. Also temporarily removed page describing mailing list. Feb. 15, 1996 Added Articles of Agreement, SJ&S; and link to Sinclair paper. Added articles on "Fur Trade Artifacts" from T&LR. Feb. 10, 1996 Added N. Wyeth portrait, Mtman want ads, fur trade artifacts. Feb. 4, 1996 Added another J. Work Journal (no. 3). Jan. 29, 1996 Added another J. Work Journal (no. 1). Jan. 24, 1996 Added html version of Ferris. Jan. 18, 1996 Added Work Journal number 5 to the collection. Jan. 16, 1996 Began adding Journals of John Work to the archive. Jan. 1, 1996 Added drawings illustrating period pack saddles. Dec. 13, 1995 Added sixteen paintings by A J Miller. Dec. 7, 1995 Added first installment of Ft Hall Accounts to the Miscellaneous page. Nov. 15, 1995 Added page introducing majordomo mailing list. Nov. 15, 1995 Added John B. Wyeth's book to the collection. Oct. 30, 1995 Added links to ftp archive for Ogden's and Kittson's journals, as published in Utah Historical Quarterly (with footnotes). Oct. 28, 1995 Spruced up the Archive pages for Leonard's Narrative. Oct. 26, 1995 Spruced up the Archive pages for Russell's Journal. Oct. 24, 1995 Added links to Ashley's manuscript to the Image library (partial). Oct. 21, 1995 Added links to Newell's manuscript to the Image library. Oct. 17, 1995 Added N. Wyeth's correspondence to archive. Oct. 10, 1995 Added first installment of Newell's notebook covering the front matter and links to images of the manuscript. Also added links to Ogden's and Kittson's journals. Oct. 9, 1995 Added "Miscellaneous Page" for some stuff that didn't fit in elsewhere, including material on Colter's run, Rufus Sage, Daniel Potts letter, and an image of a label from a Hudson's Bay whiskey bottle. Sept. 27, 1995 Added this what's new page and a link to a page describing the AMM.